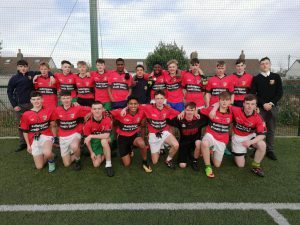 Congratulations to our U16 Junior Boys Gaelic Football team who won their blitz on Thursday in Parnells GAA Club, against Grange CC and St. Joseph’s CBS Fairview. They now go on to represent our school further in the competition. Well done lads!